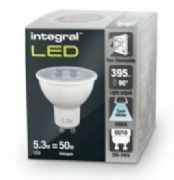 We have a fantastic range of GU10 LED bulbs and spotlights to suit all your lighting needs. 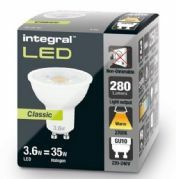 Our bulbs are genuine replacements for existing 35W, 40W, 50W and 60W halogen bulbs. 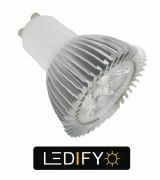 Our most popular GU10 lamps are the wide beam angle, warm white by LEDIFY as these are of equivalent brightness and colour to the traditional 50W halogen. 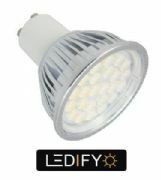 They create an even spread of light and most people will not notice a difference apart from the lower running costs. To create a very modern look we offer the same product with a cool white colour option. This creates a very white light with a slight blue ting similar to the Xeon headlights on modern sports cars. Often commercial environments prefer the cool white colour option. 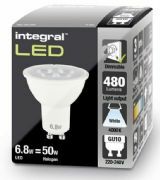 Due to advancements in technology we now have a dimmable gu10 led bulb which work fantastically with our Varilight dimmers. Please see the section below regarding dimming LED lamps. 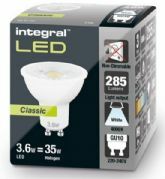 All our lamps are a direct replacement for the existing halogen versions, so will simply fit in your existing fittings and connect to your existing connectors. 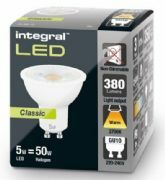 With an average lifespan of 50,000 hours compared to a life span of 2000 for halogens you may not have to change your bulbs for many years. 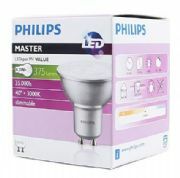 Dimming LED lamps - Although a dimmable LED bulb may be compatible with some existing dimmers it is recommended to avoid any flickers that a specialised “Trailing edge” dimmer switch that reduces the current flow to close to zero is used to also give the full dimmable range. 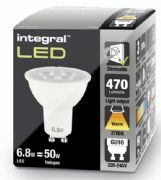 Normal dimmer switches are leading edge and have a minimum load of 40 Watts that means to dim the bulbs fully more that 10 gu10 bulbs would be required due to the low power consumption. When selecting a dimmable option we recommend our Varilight V - Pro LED dimmer switch. 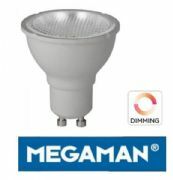 We supply bulbs direct from the following manufacturers PHILIPS, MEGAMAN, INTEGRAL LED, OSRAM and VTAC. We only supply the very best products as our policy is 100% customer satisfaction. A bi-pin, (sometimes referred to as two-pin, bipin cap, bipin socket or fitting), is a standard from the IEC for lamp fittings. 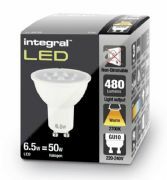 These were traditionally used on many small incandescent light bulbs, halogen lamps and for starters on some types of fluorescent tubes. 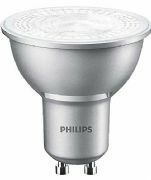 A common derivative of the MR housing is GU10 (G for glass) which is a lamp cap fitting format created by Havells Sylvania in 1997. 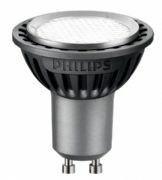 GU10 is distinguished from the GU5.3 MR lamps by the U-shaped ceramic base mount with a 10 mm (pin center-to-center distance) 2-pin bayonet mount and operating under mains voltage rather than lower voltage.